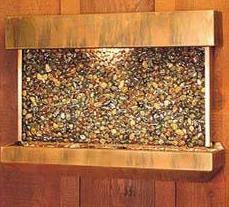 Tile showers have a certain bit of luxury attached to their design. And fortunately enough, they’re easy than you think to design and create. You just have to have the right bit of inspiration to get your vision started. 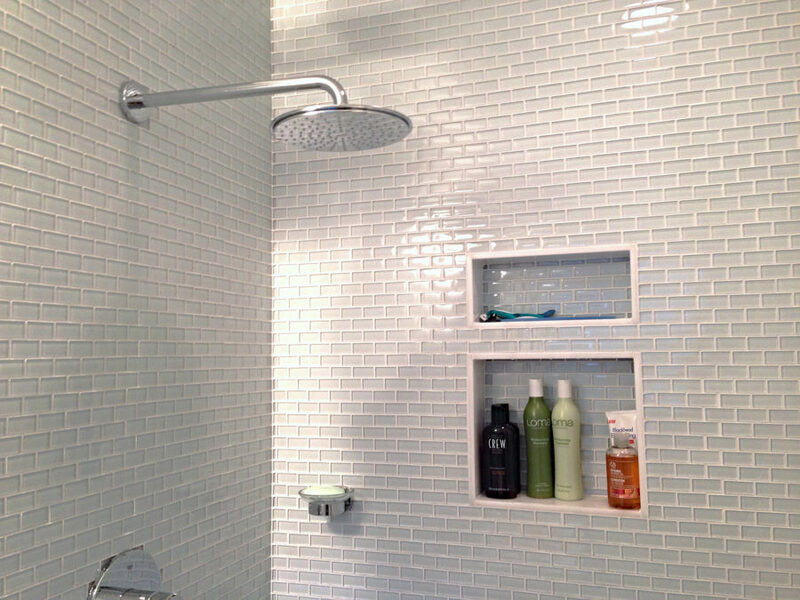 Here are 20 tile showers to fashion your revamp after and hopefully spark some creativity! 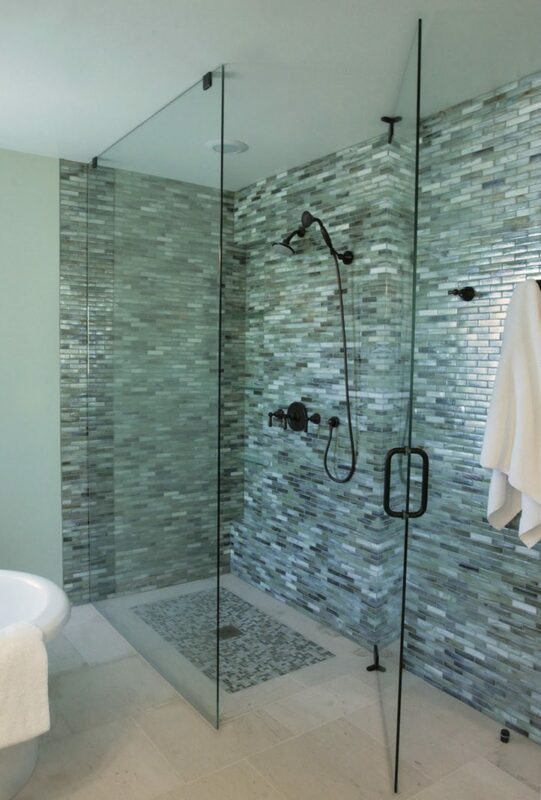 From ceiling to floor, this warm, enveloping shower design is filled with dark tile and pebbles too. 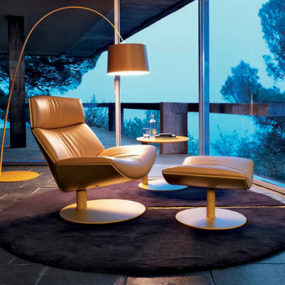 We love the fact that there’s a seat right inside for an extra bout of relaxation as well. The glass door provides ample lighting since it’s a darker space while the textural bits keep it just as stylish as it is functional. Home Epiphany showcased a tile shower that we’re certainly not used to seeing. 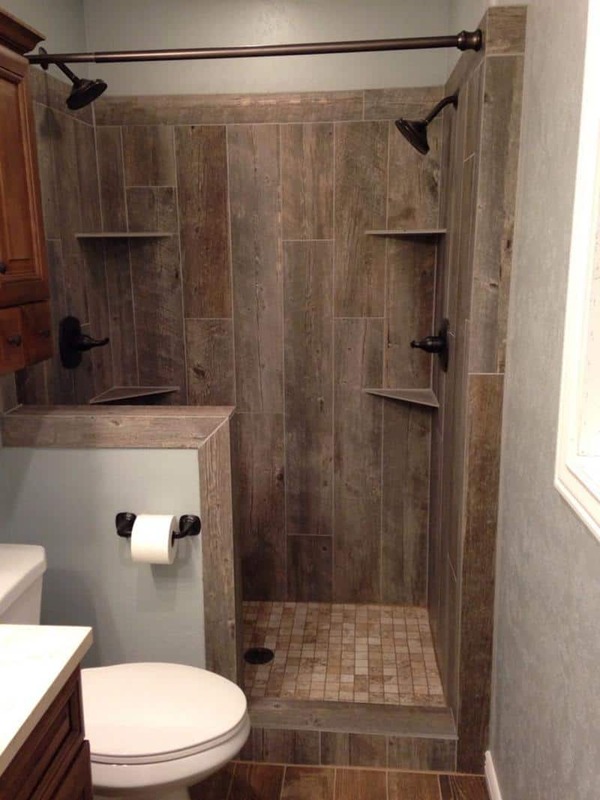 With a plethora of rustic, country-flavored style, this design is filled with wood-inspired tiles. Even your restroom can be transformed into a space that fits your home’s overall vision and theme with a bit of innovation. 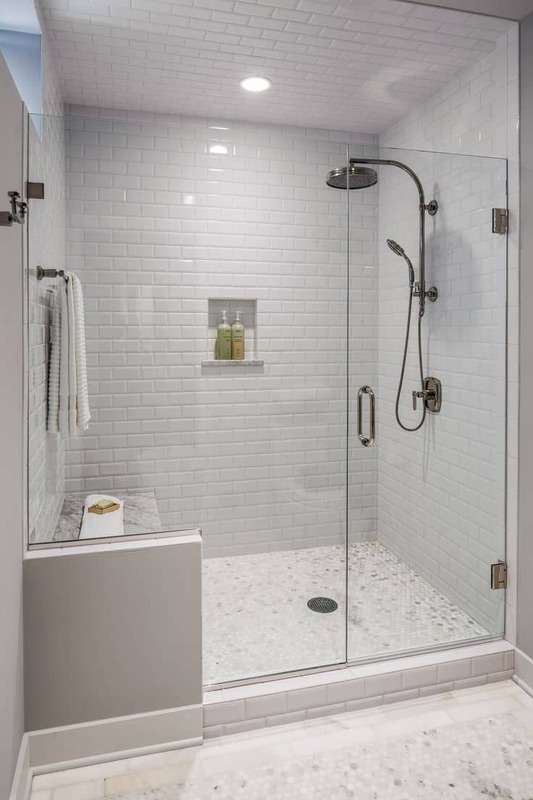 If you want some inspiration for a tile design that shows a little more artistic influence, then this shower from Alone Eagle may be exactly what you need. 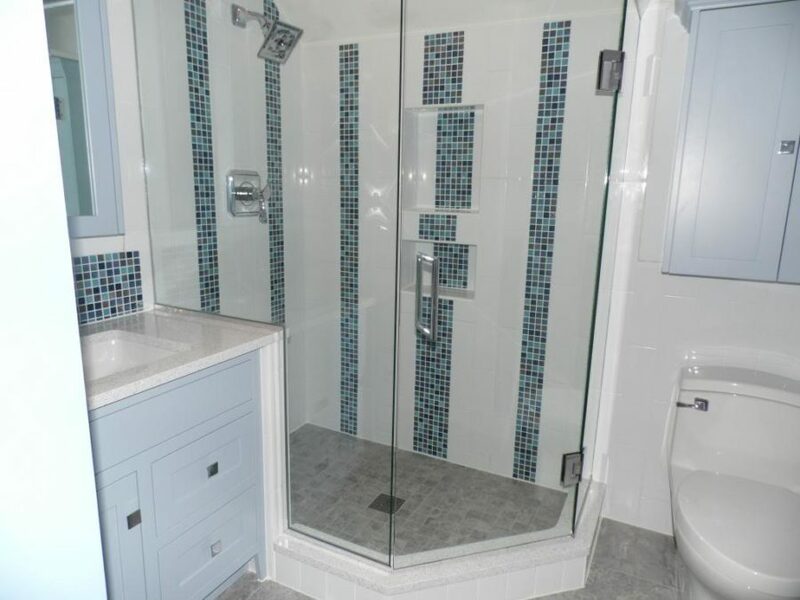 A combination of richer floor tiles, white tiles with accents from smaller, blue-shaded tiles, you get a modern and personalized vision that ignites a bit more flavor into your bathroom. 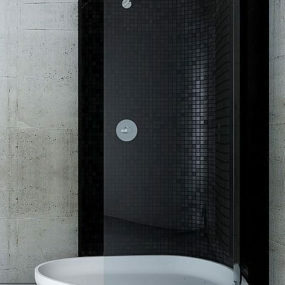 A monochromatic scheme, even when it comes to showers, is always a timeless way to design a room. This shower featured white subway tiles as well as hexagon floor pieces that offset and compliment each other beautifully. The cool tone also helps give the illusion of more space, which is always a plus no matter what nook of the house you’re focusing on. 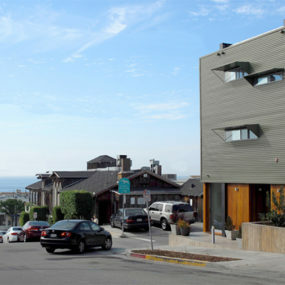 Sometimes a bit of dimension is what you need to create the right amount of interest and style. 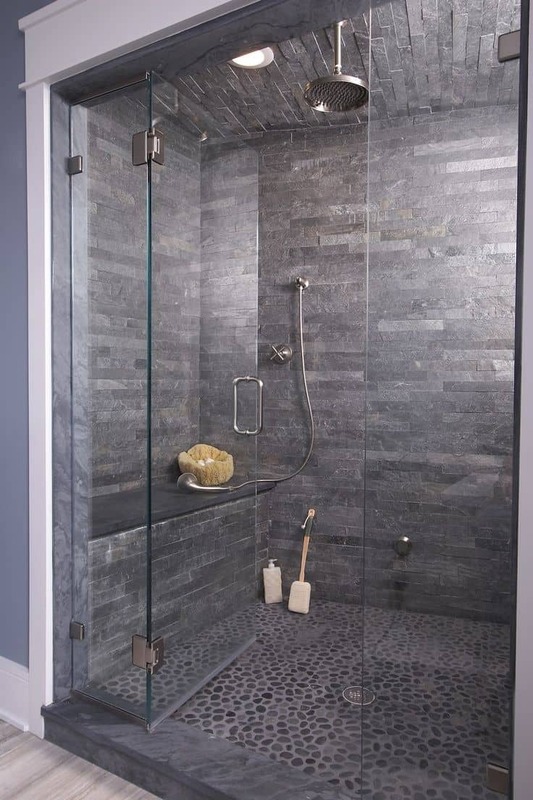 This slate gray and white tile combination sets a beautiful, serene and modern scene inside this spacious shower. The built-in nooks to hold your essentials is also quite the nice touch, don’t you think? We instantly fell in love with this beautiful design over at Homebunch. A combination of both classic rusticism and shabby chic style, there’s so much to become excited over. The faux-wood tiling, the smaller-scaled pieces on the floor as well as the patterned tiles as you step outside compliment and contrast in all the right ways. 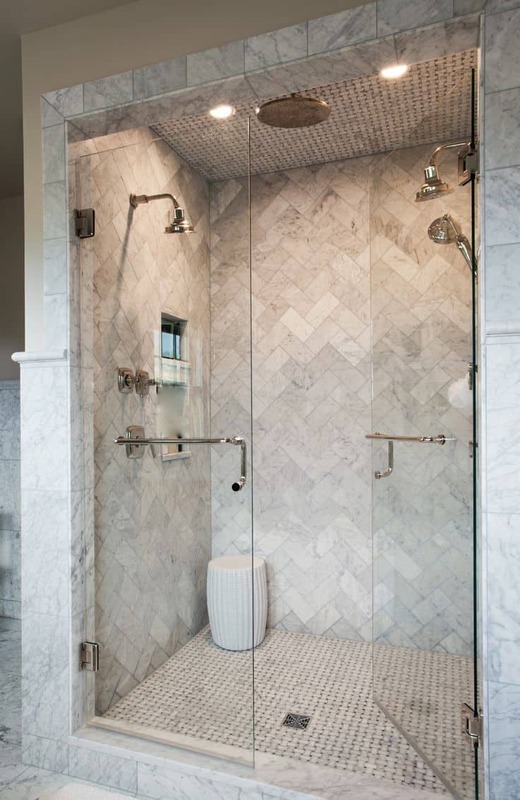 Steam Shower Dealer features this upbeat, cream tile shower. 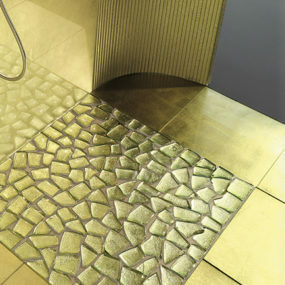 It has a darker grout that offsets the sharp shapes and modern essence beautifully. With a mid-century, contemporary vibe, those rustic built-in shelves help to blend and cross boundaries without any confusion. 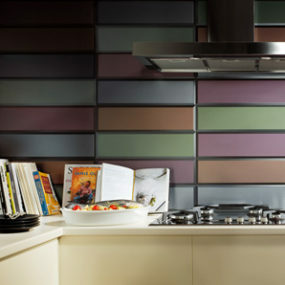 If you want more pizzazz and less “simplicity,” this backsplash-inspired tile design may be exactly what you need. This idea from Her Power Hustle works so well because it’s got the space to move. 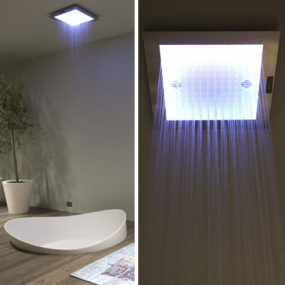 In a smaller shower this tile choice may feel too cluttered or busy, but with the right lighting and length it feels free and fun. We found another modern idea on Pinterest and instantly fell in love. 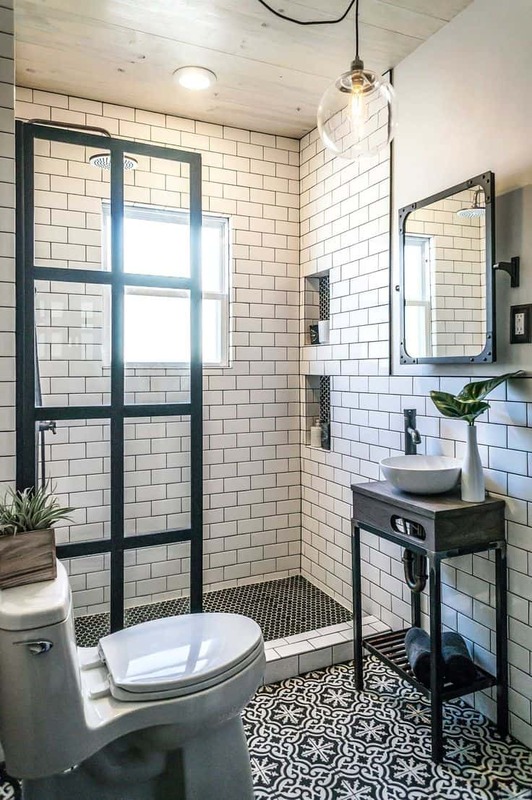 Black and white will always be the most timeless and “in style” of color combinations and that doesn’t fall short in the bathroom either. We’re mesmerized by the patterned pairings here and how everything seems to flow and work seamlessly throughout the space. 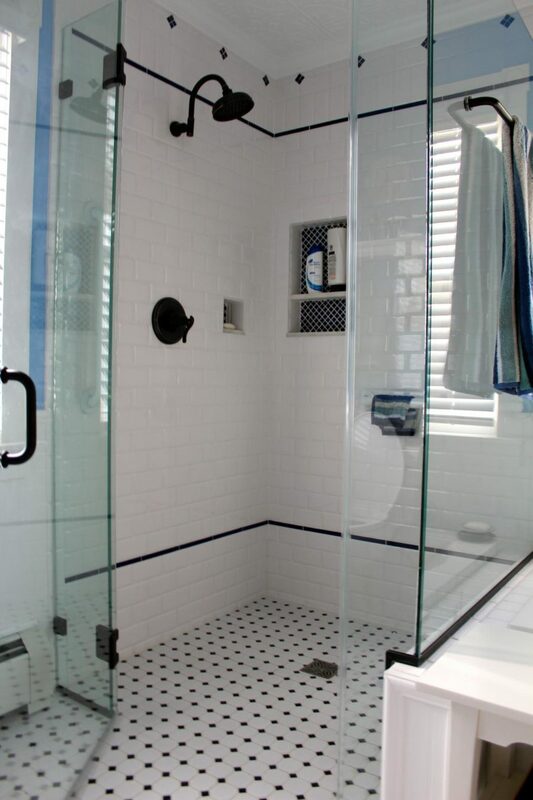 There’s always glass tile too. It’s a bit retro in style but it’s also unique and pairs well with other more traditional choices. We found this beauty on Home Stratosphere and loved the innovation not only behind the design of the shower but the choice is how it was built and styled. 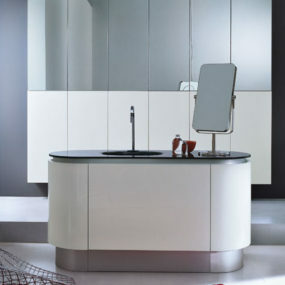 Mixing the best of the past with contemporary lines, it’s a luxury way to start your mornings. 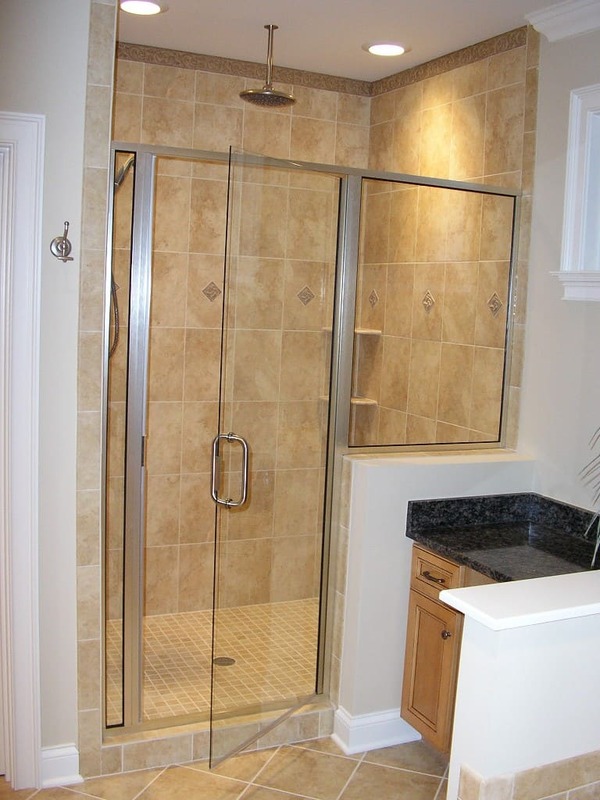 Here we have a tile shower design that’s in a more traditional realm. 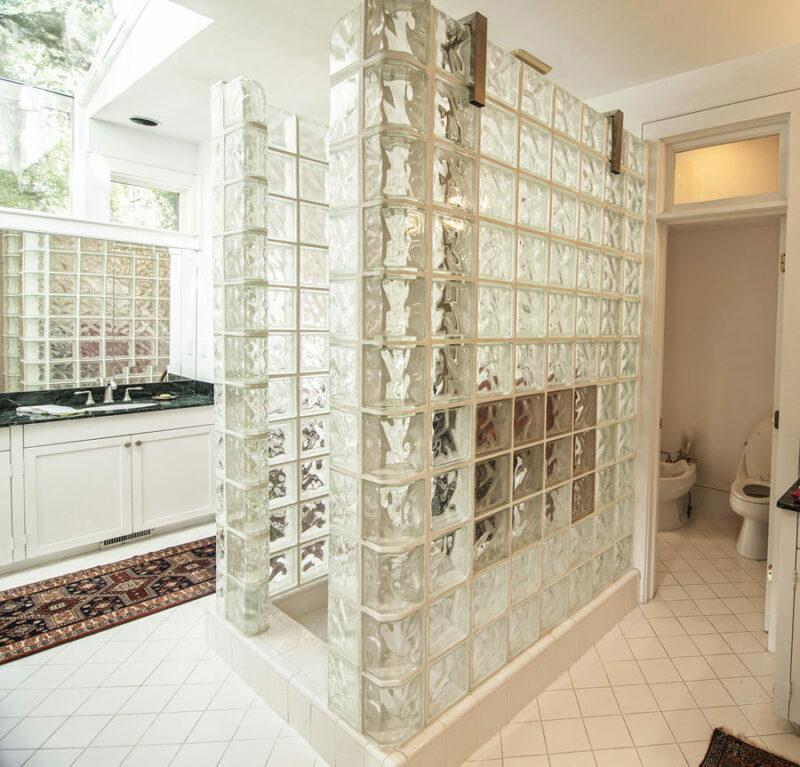 This is a good example of something to help inspire an older home’s bathroom revamp. Neutral-tiles will compliment all shapes and size spaces as well whites, creams, blacks and grays. It’s a beautiful, no-fuss design to grab ideas from. New Jersey Custom Tile is showing off some white subway tiles complimented by white grout for a smooth and clean surface. The black and white tile floors add a special bout of personality that finished off the entire design. Again, these combinations are timeless – no matter if you’re driven into a more contemporary or retro light. 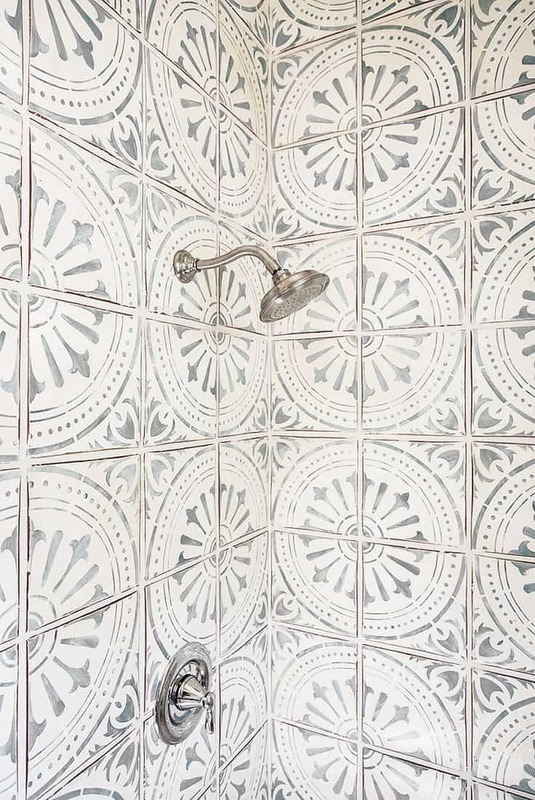 It’s quite hard not to swoon over this gorgeous, romantic patterned tile. If you’re looking to truly make a splash and create your very own oasis, think about going a route that’s a bit outside-the-box of what we’re used to. Mornings become a bit cheerier when you’re allowed to wake up in a space that’s filled with beauty and luxury. 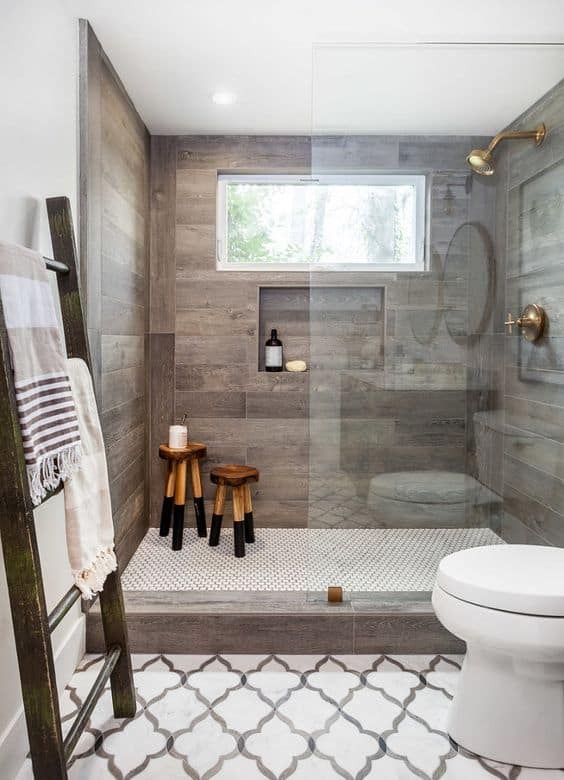 We stumbled upon this beauty on Pinterest as well and were immediately taken by not only the marble tile but its placement. The chevron finish provides an extra push of modern, artistic style and it’s monochromatic scheme keeps the vision posh and precise. It plays well with natural lighting as well so the glass doors were a perfect chmoice. You’ll find another marble tile shower over at Home Epiphany. 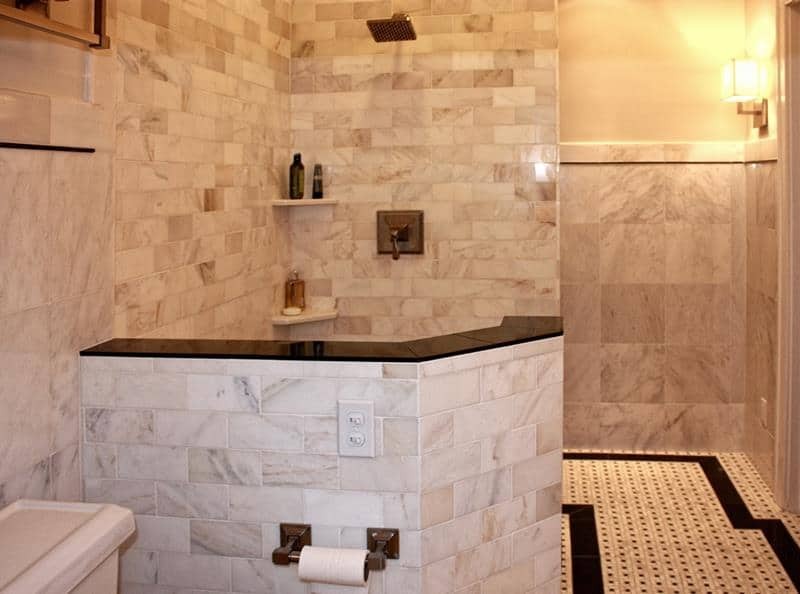 With a more unique design, an open top, this shower is filled with space and luxury. The neutral palette creates a polished finish perfect for master suites and contemporary-styled homes.